Why do poor people support Trump in such great numbers? Perhaps to them, what’s more important than wages is their xenophobic view that the U.S. should shut its doors to immigrants and should not allow women to have what’s euphemistically known as reproductive rights. In other words, keep the foreigners out and the fetuses in. 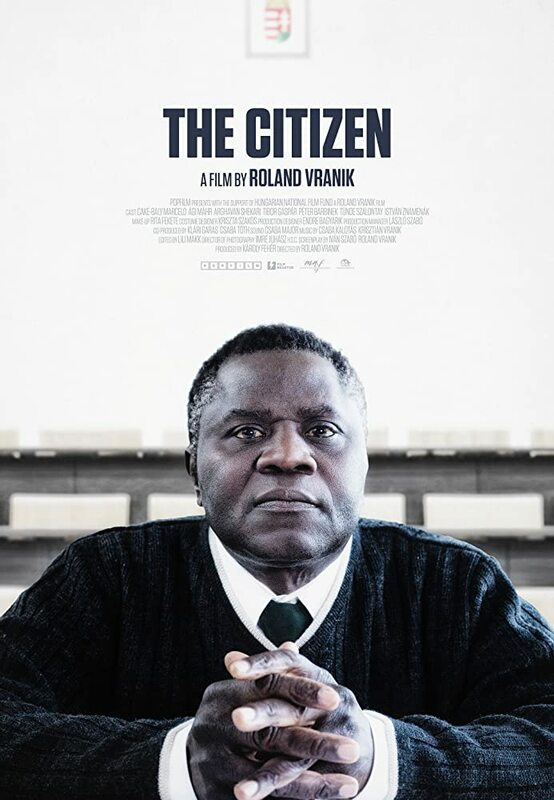 While the U.S. is not Hungary and Budapest is not Birmingham, Roland Vranik’s film “The Citizen,” filmed in location in Budapest, deals with the plight of one immigrant from Guinea-Bissau who fled to the Eastern Europe country to escape the unending violence in his own African state. Vranik, whose “Transmission” in 2009 deals with withdrawal pains brought about by the failure of digital devices to work, cuts back on the surrealism this time, portraying the woes of a black man seeking citizenship in a country that has not been known to be friendly to folks fleeing their homelands for better economic conditions or political asylum. You might expect Hungarians to be haters since Wilson (Cake-Baly Marcelo) is not only different from most of them in appearance and culture, but the evidence on display supports the view that he is welcomed into the new land, getting a job as a security guard and even awarded a week at a spa for being employee of the year. There is but one isolated case of a man’s calling him with the n-word and one seemingly impossible hurdle to jump when he fails a 3-panel query on Hungarian culture and is therefore turned down for citizenship. Yet the panel is open to reversing itself and granting him the papers. He is accepted in his Budapest neighborhood as well. In fact Mari (Agnes Mahr) tutors him for the test, giving him tours of the city museums and monuments and correcting his surprisingly good Hungarian. Her bond with the man turns romantic. She leaves her husband and moves in with him not realizing that he already has a roommate—another asylum speaker, Shirin (Arghavan Shekari), who has fled from Iran and needs to find a local to marry her on paper so she can claim citizenship. Because of the outstanding performances by the leads and the realistic look at a menage-a-trois (Mari, Shirin and Wilson), this is a film that could well be looked at during awards season, competing for best foreign language picture. An American audience especially can relate to the story given the reactionary policies of the White House, particularly the hassles that the Republican party has been setting up to deny many eligible people the right to vote. This spiritually fulfilling and highly entertaining drama, filled with moments of humor and a what-will-happen-next suspense should not be missed.